For their latest album, Polyphia went in an experimental new direction with their music. When they started to promote the new music, they also adopted this new online persona where they would make the facetious proclamation of being "the greatest metal band of all time" and acted like they had a superiority complex that developed from their recent successes. A lot of people took this bit seriously, and labeled them as egomaniacs, but I personally enjoy this side of them for the joke that I think it's supposed to be. Seeing their set at House of Independents on Friday showed me for sure that they’re just a bunch of goofballs that like to have a good time. Their set was a mix of songs from all of their albums and they were fun to watch. They transitioned between songs seamlessly and without any dead space. Their instrumentation is so technically complex that their ability to perform their songs proficiently while still being able to move around and get into the performance blew me away. Speaking of being blown away, I have never seen a band without a vocalist command so much charisma and presence over an audience like Polyphia did. Their bassist even got on the mic a couple of times and said “sing it!” to which the crowd responded by yelling the pitch of the guitar part. The overall vibe of the show felt so genuine and fun, with the band smiling and joking between songs. It felt like an intimate experience where the band is enjoying themselves WITH the crowd. I thoroughly enjoyed their set, and I’m excited to see where they go next and the type of experimentation they’ll take with their sound. It all started back in March 2018 when the Toronto-based four piece, Selfish Things, released their debut EP, Vertical Love. 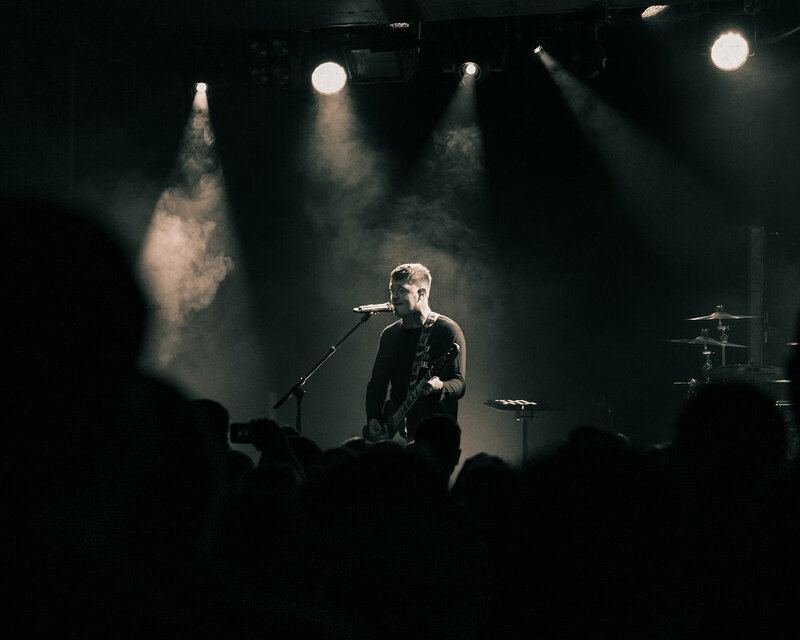 The band started off years prior with releases of singles and saw great success so it was inevitable for this EP to continue the buzz… and thats EXACTLY what it did, eventually landing themselves a record deal with pop-punk power house, Pure Noise Records. The sky seems to be the limit for this band landing tours back in their home country with likes of Simple Plan & Courage My Love to full US runs with William Ryan Key & Corey Wells & that is exactly what brought me to the High Watt in Nashville… the buzz. Selfish Things took the stage IMMEDIATELY gaging the audience before even playing a single note. Front man, Alex Biro, having conversations with the concert goers in the front sheding some light onto who they are and where they were from. Then the music started and the energy of the music, of the performances by each musician on that stage was parallel to nothing I have seen recently. A live show with peaks and valleys, louring the crowd in with and intimate 2 song break where Biro serenaded everyone with just his voice and a piano. Biro’s took that moment to open up to the crowd about a dark time in his life and dealing with anxieties and depressions throughout his life. Shedding light on the world we live in today that there is a problem with the society we live in and the stigmas that are being portrayed, challenging those who related to not feel alone and that it was okay to not be okay. Just when you thought the set took a turn to sad and intimate the band stepped on stage and the music was right back in your face…like a wake up call. Again, the peaks and valleys of their performance if not planned were still perfectly placed and I commend them for it cause that is an art itself that is lost in live shows these days. Given I just started listening to the band, and it was the first time I have seen them live I saw many influences from many different genres in their song writing bringing elements all the way from old school punk like, CKY, to the new wave radio sounds it was such a refreshing balance of old and new. I myself am highly anticipating the drop of their debut record on Pure Noise Records, because I will go out on a limb and say already, it will be in the running for Album Of The Year for me. My first ever photo pass at Rock City was for a sold out show by a rock band called Deaf Havana. They were promoting the release of their album: All These Countless Nights (Reworked) back in 2017. Two years later, DH are back at Rock City promoting yet another album: Rituals. This time around they were supported by up and coming pop-punk band Hot Milk and Scottish rock/rap trio The LaFontaines. Hot Milk are an emo/pop-punk four-piece, fresh out of Manchester. Already they are sounding massive and really know how to get a room moving. They have just finished a successful tour with You Me At Six and have many more shows coming up. Next up were The LaFontaines, one of my new favourite bands! I didn’t know what to expect because I'd only listened to one or two of their songs previous to the show, but I was pleasantly surprised. Some of the lyrics are quite deep when you listen to them closely but it’s tricky to concentrate on lyrics when the lead vocalist is running around the entire venue! It’s always fun when a band member ends up in the crowd. Regardless of how deep the lyrics might be the two vocalists are outstanding especially when backed by a talented guitarist. Definitely a band to keep an eye on. Finally, we get to Deaf Havana, who I'm sad to report disappointed me this time around. Don’t get me wrong, it was definitely not the worst live performance from a band I've seen, but it wasn’t the best either. For the entire show I was comparing them to last time and they just weren’t as good. I’m not sure whether it was the somewhat dull crowd or whether they were just having an off day. Deaf Havana’s new album has veered more towards a pop style of music as opposed to their original rock sound. It’s still incredibly good but has divided the fans a little bit which could be a contributing factor as to why the crowd was a bit boring, subsequently affecting the bands performance. I’m not going to stop listening to them and I highly recommend you check them out. I wouldn’t turn down another opportunity to see them live again either, to see if I’m right about them having one of those days. 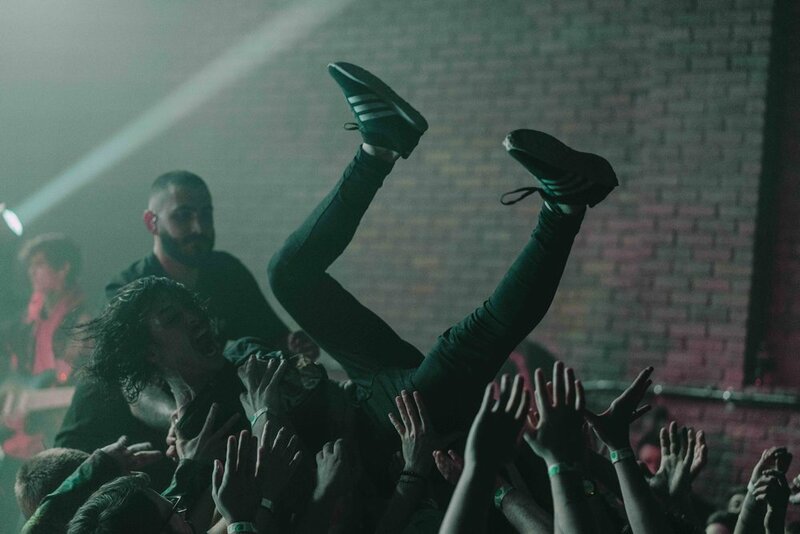 This month, after about a year of touring arenas with some huge bands, YONAKA finally embarked on a headline tour of the UK promoting the upcoming release of their debut album. With a sold out stop in Nottingham at an intimate little venue called The Bodega I had to attend. This venue has a capacity of around 220 people which is a vast difference to the 3000+ capacity venues they have been playing recently. That being said, I don’t think they are going to be playing small venues for very long. Having listened to their invigorating recent releases I think their album will encapsulate this message perfectly. In Nottingham YONAKA were supported by two incredible artists: Cassyette and Broken Hands. Cassyette is a glamorous, synthy, electro-pop, singer songwriter and model. In stark contrast Broken Hands are a fairly heavy rock band producing punchy riffs and gritty vocals. Both were perfectly suited to opening for a band like YONAKA. Both have incredibly powerful vocalists and used the small stage and intimate venue to their advantage. Now that the crowd is ready to go, YONAKA took to the stage bringing with them some hefty riffs and lyrics that one day soon arenas will be singing back to them. Led by vocal powerhouse and complete badass Theresa Jarvis I can genuinely see this band headlining festivals and selling out huge venues very soon. YONAKA managed to get the whole room dancing and for most of the show the floor was literally bouncing; it was quite the challenge trying to capture decent images! The crowd, myself included, were screaming back the lyrics for the entire show which was somewhat spectacular. Overall, I'd definitely recommend that you check this band out and if you have the opportunity to see them live, do it!